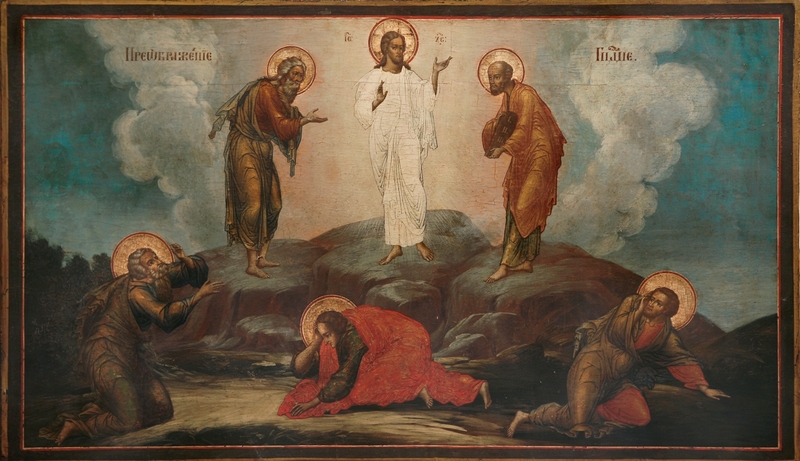 On 6 August Bulgarian Orthodox Church celebrates the feast of the Transfiguration of the Lord, which dates back to the first centuries of Christianity. According to popular belief, the arrival of the holiday sky opens and responds to the deepest aspirations of the people - the day is associated with change and new hope. On this day people believe that nature, which so far has been dominated summer, transforms and turns to winter. Sun turned its back on the summer and looks to fall, and migratory birds gather in flocks to go to warm countries. In church temples consecrated grapes. The holiday has its origins in the first centuries of Christianity and is associated with an extremely important event that is of Christian religion - the revelation of Jesus Christ in heavenly glory before three of his closest disciples. Apostles admitting that Jesus Christ will suffer humiliations and tribulations because it was incompatible with greatness and His glory. He spoke often of suffering waiting for him, death and resurrection. Christian believers Transfiguration connect with change and new hope. On this day the Holy Liturgy of Orthodox churches added unto special (prayer chant) with old-Slavic name "Nachatki ovoshtey" and the Bulgarian Orthodox Church - "Inauguration of grapes." For if in the northern Orthodox lands in early August only apples, then in Bulgarian more southern lands already ripped the first bunch of grapes. For the first time it is sanctified in the temple and eat the feast of the Transfiguration of the Lord. In some Bulgarian towns are still alive colorful folk customs related to the Transfiguration. There are also fairs, exchange are animals and goods. Once girls and lads conspiracy to engagements and marriages. According to tradition from antiquity marriages were made in September to a child in yunii bride to get to work in hard summer period. According to Bulgarian folk calendar of August 6 sees a transformation in nature. Sun turned its back on the summer and face the winter, storks gather in flocks, before flying to warmer lands. According to folk beliefs on this day the sky opens and if anyone sees this will happen whatever its called. If someone gets sick, soak some dried fruit, the patient drinks the water and disease transforms. Transfiguration is the time when the days are visibly reduced, it is expected the cold. Everyone must be thoughts, remember that there were many cases when it was bad and behold, now is the time to transform, to become better.